Paris-headquartered Thales has completed the acquisition of Gemalto, creating a global leader in digital identity and security. 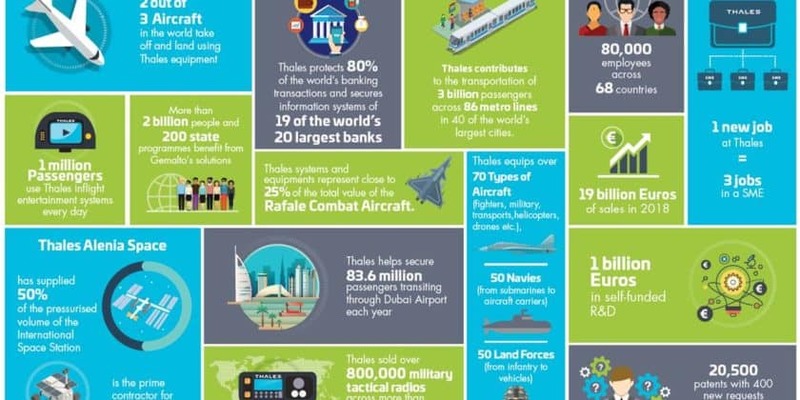 Completed in 15 months, with Gemalto’s acquisition, Thales will cover the entire critical decision chain in a digital world, from data generation via sensors, to real-time decision support. This acquisition increases Thales’s revenues to €19 billion and self-funded R&D to €1 billion a year, with 80,000 employees in 68 countries. The larger Thales will master all the technologies underpinning the critical decision chain for companies, organizations and governments. Incorporating the talent and technologies of Gemalto, Thales will develop secure solutions to address the major challenges faced by our societies, such as unmanned air traffic management, data and network cybersecurity, airport security or financial transaction security. This combination is expected to create a world-class leader with an unrivalled portfolio of digital identity and security solutions based on technologies such as biometry, data protection, and, more broadly, cybersecurity. Thales will thus provide a seamless response to customers, including critical infrastructure providers such as banks, telecom operators, government agencies, utilities and other industries as they step up to the challenges of identifying people and objects and keeping data secure. Thales acquires Gemalto to strengthen leadership position in digital security solutions 0 out of 5 based on 0 ratings. 0 user reviews.